What is the most radical frame build(er) these days looking at road/ aero bikes? - look kg296 clm ti: won tour prologue, banned the next day. If I remember properly it was a ti frame with a carbon exterior. - second one I never manage to find a picture. It was the Pinarello from 96 I think. The crankset was covered by the frame. It got banned before the prologue, std versions finally used. They all look horrible. Bastion looks ok, but i am not sure if i really see the benfit of this method. I have a bike with carbon /boron top and down tube. Rest is titanium. 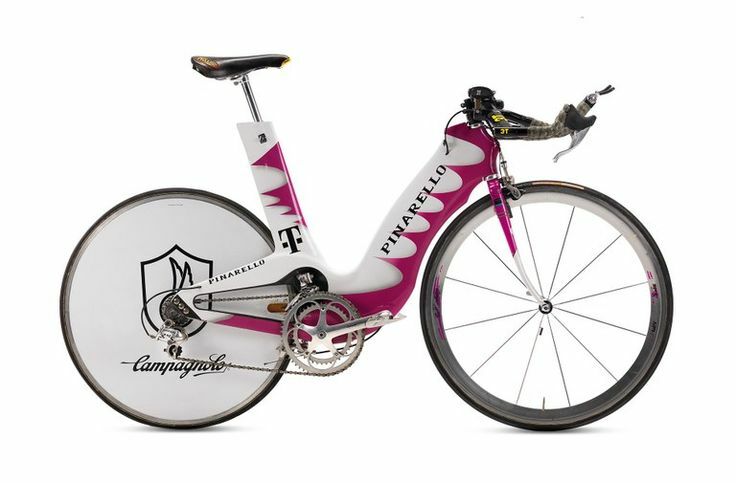 The Pinarello is known as the Espada meaning sword. Moser's 42" rear is a good candidate. I member those! It looks kind of comical now, seeing a skinny steel fork and round seatpost paired with the super aero carbon frame. "Most radical frame" is kind of open to interpretation. For example, you have those space frame bikes that still use a conventional diamond frame but with funky iso-truss "tubes". Then you have the bikes that shed the conventional diamond frame shape, but use what is more or less a conventional material (carbon sheets, cured in a mold), with notable examples being the Boardman Lotus bike with no downtube that is currently undergoing a revival in the triathalon world, and "beam bikes" with no seat tube or seat stays, and then the above bikes that ditch the top tube. Eliminating the top tube has always seemed like an odd choice to me, given how little it adds to the frontal area, but I guess that is just one small part of the overall aerodynamic package. Last edited by TheKaiser on Sat Apr 01, 2017 5:22 pm, edited 1 time in total. Most truly radical frame ever. You probably refer to the lotus used in Barcelona (with one arm on fork and rear) it was a pursuit bike. The hour bike was based on the road lotus... Ran as an Eddy Merckx (and a reworked fork). The best version of the LOTUS had the cog on the outside, so the chainstay was between the wheel and the cog. Could be the one on your 3rd photo, but can't see the drive side. This bike could have been improved even more if they woul dhave switched the side of the drive train to the left, to the interior of the velodrome lap, like the latest Felt track bike. Can't remember now the name of the designer of this bike, if you could please put it would be nice. It's a brittish guy, he worked afterwards for giant and made really awesome things for the giant road bikes that changed the future of the road race pro tour bikes, like the compact frame, etc. 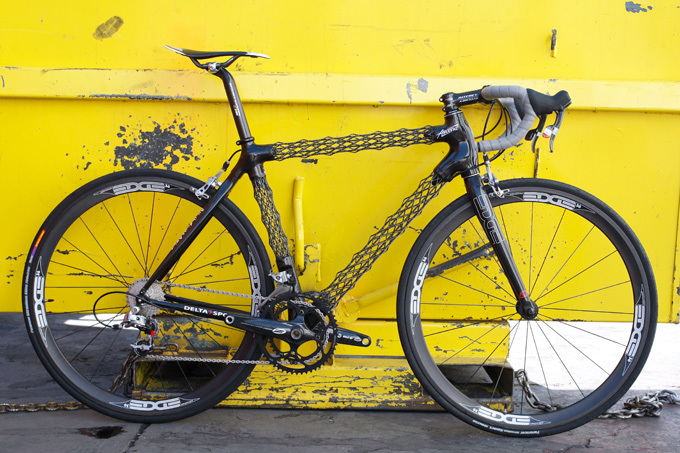 Obree hour record bikes, with the BB made from huge washing machine bearings would be a radical frame too BTW.